One of the hotspots on Jet2’s list of biggest growing destinations this summer is Dalaman. The third Turkish destination on the list shows what a popular choice Turkey is this summer. 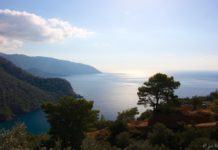 The Dalaman area has been dubbed the Turquoise Coast, thanks to the pristine Mediterranean waters which create a glorious stretch of stunning azure sea. This includes the Blue Lagoon at Ölüdeniz, which is a very strong contender for the title of world’s best beach. 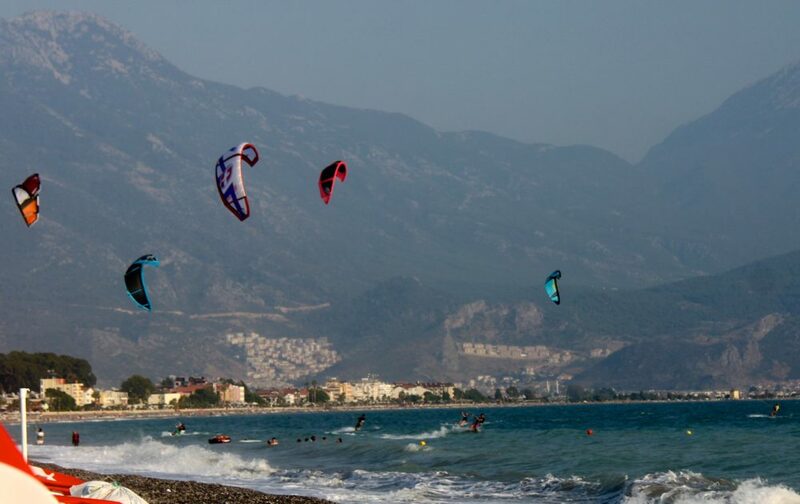 As well as sparkling seas, the area features a host of fantastic resorts, including Marmaris, Sarıgerme, Içmeler and Ölüdeniz, and scattered amongst them are the remains of ancient civilisations – especially those of the Romans and the Lycians, who were the area’s original inhabitants. 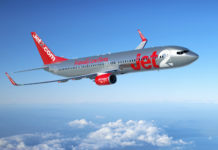 This Summer we will be flying to Dalaman from all nine of our UK bases, including new routes from Belfast International, Birmingham and Edinburgh. 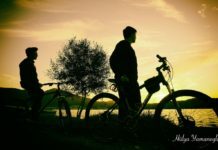 Here are five wonderful resort options, giving you a taste of what is available in the Dalaman area this summer. 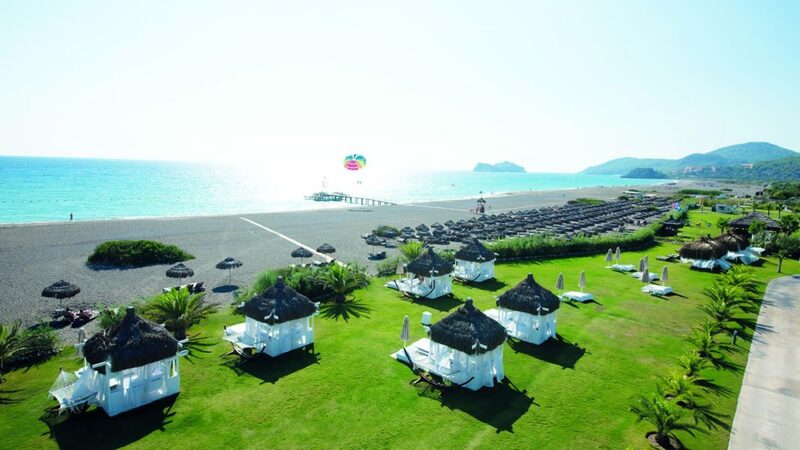 The Jiva Beach Resort is the most stylish hotel on the Calis Beach promenade and it’s easy to see why. The hotel has amazing pools, dining areas and a full entertainment programme. Perfect for your next luxury all-inclusive retreat, this hotel features swim-up suites and a peaceful beach area, fantastic for sunbathing and watching the sunsets. Step into a world of pure indulgence with the breathtaking architecture and opulent interior of this beachfront hotel. Free-form pools give this hotel’s courtyard a mirror-like sheen, whilst adults and children alike will love the twisting slides of the colourful aqua park. You will enjoy an extensive choice of dining at the many bars and restaurants, from the classic styling of the Pianoforte bar to the flickering flames of show cooking at the pan-Asian Tao Restaurant. 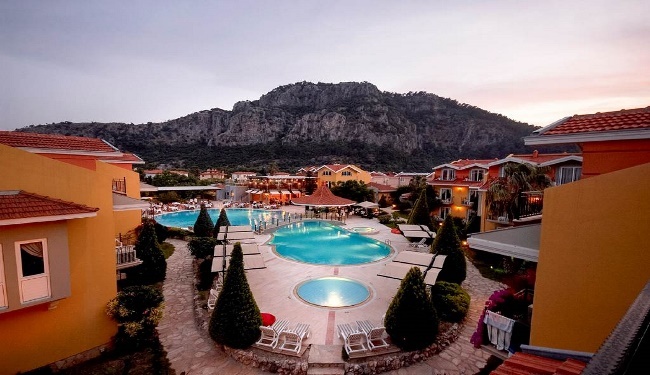 Flourishing gardens and glorious mountains offer a fantastic backdrop at the Club Alla Turca. Relaxation is never far away, whether you enjoy taking a leisurely dip in the pool or finding a spot to sit with a book in hand. 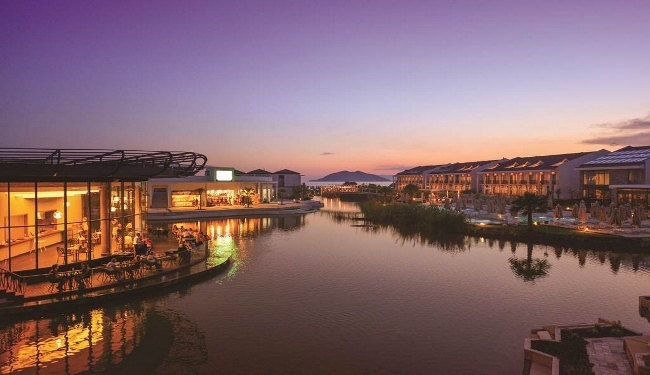 You won’t be far from the idyllic resort of Dalyan where you can experience authentic Turkey with a river boat journey tracking historic ruins, revitalising mud baths and the famous Turtle Beach. With homely rooms and friendly service topping off your stay, there is no wonder customers return year after year. Set into the mountainside of Icmeler, the attractive Julian Forest Suites have beautiful scenic views in a peaceful location. The complex itself offers a relaxing and stylish pool area with fun waterslides and a great entertainment programme to keep the little ones busy. 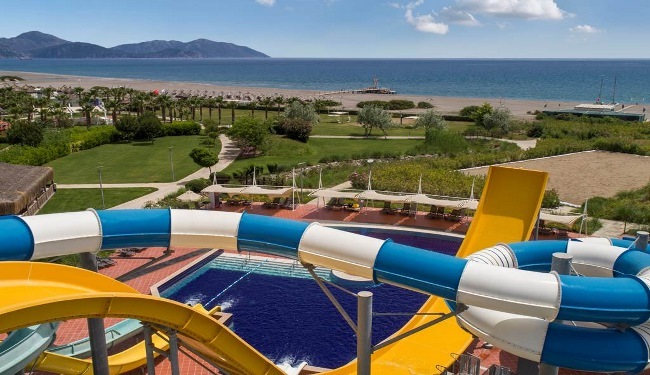 The perfect base for a fun-filled holiday in Turkey. 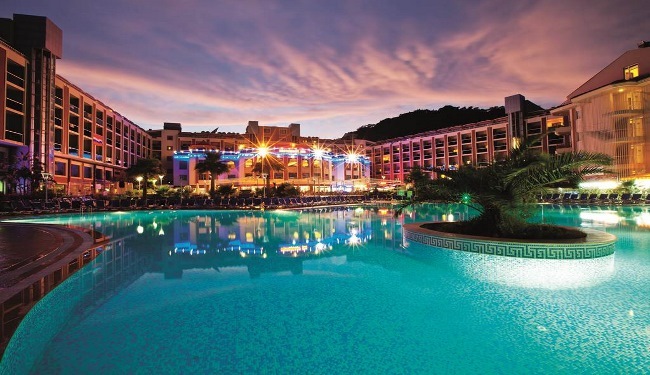 Located in a lush pine forest on the outskirts of Marmaris, the popular Green Nature Resort & Spa has everything you need for a great family holiday. The lagoon-style pools and fantastic waterslides are a firm favourite. For a change of scenery, a complimentary shuttle bus takes guests to the beach. Offering great facilities, this hotel is popular with families and couples looking for a friendly and entertaining complex. 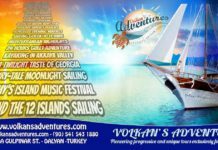 For further information, please visit: www.jet2holidays.com/destinations/turkey/dalaman-area. 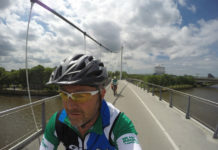 Hi …which beach is the one in the photo please?